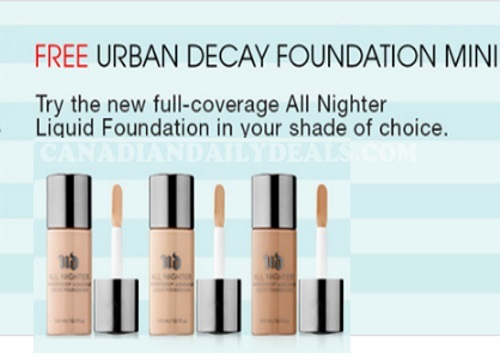 Sephora is offering a Free Urban Decay All Nighter Foundation Mini Sample! This is a brand new full-coverage foundation. I got some samples from Sephora (the free ones that you can ask for) and it's amazing. Offer valid to beauty insiders with $25 purchase online. Enter the promo code ALLNIGHT at checkout. Offer available while quantities last. I just checked and this currently includes 3 shade options: 3.5, 5 and 8.